Assemble at the very last moment so your crusts stay crisp. A superb no sugar holiday treat that everyone will enjoy! 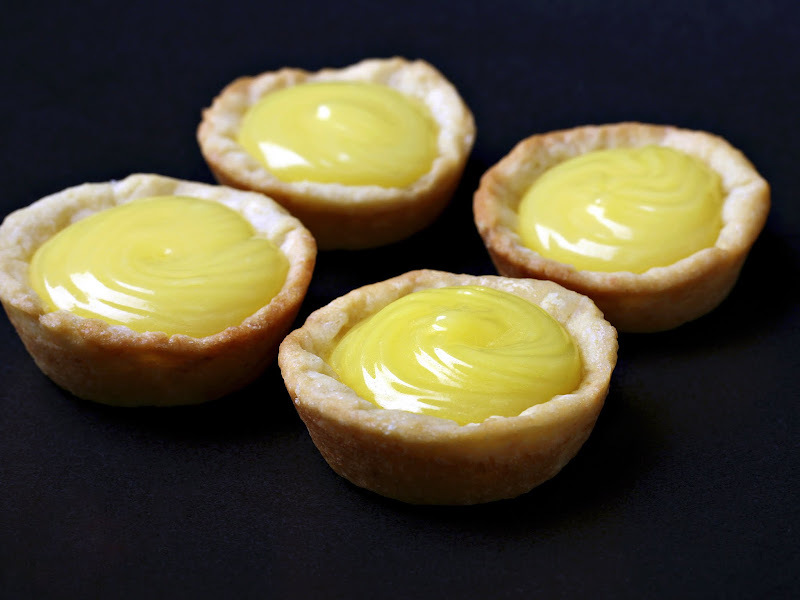 A perfect bite of tart lemon and flaky crust. Combine cream cheese and 1 stick of butter - add flour and salt. Gather dough into a ball and chill. Preheat oven to 400º. Roll dough ¼ inch thick, cut into small rounds to fit into mini 1½ inch muffin pans. Bake until golden. Cool and store in airtight container until ready to serve. In a large bowl, beat the remaining ½ stick of softened butter and Splenda with an electric mixer until blended. Slowly beat in the eggs and yolks. Mix in the lemon juice. Mixture will look curdled, but will smooth out as it cooks. In a medium saucepan, cook the mixture over low heat until it looks smooth. Increase heat to medium and cook, stirring constantly, until mixture thickens, 12 to 15 minutes. Do not boil. Remove from heat and stir in lemon zest. Transfer to a bowl, press plastic wrap on the surface to keep a skin from forming and chill. To serve, spoon some of the curd into each shell.